My favorite part of teaching is helping students learn to express themselves through music. Since the first day I picked up my flute, music became a part of my life. Music offers a beautiful and creative avenue of expression. I enjoy opening the door for students to explore the beauty of music. During weekly lessons, I emphasize development of breath control, tone quality, intonation, rhythmic accuracy and ear training. Theses elements are very important to building student’s strength and confidence, but also create a “competitive” edge for upcoming auditions, recitals and performances. I enjoy adapting lessons to student’s interests. I regularly incorporate classical and contemporary styles to broaden students’ perspective of musical literacy and knowledge. I encourage students to share their favorite songs to listen to, play and even sing to find out their individual musical interests. I enjoy teaching flute and piccolo to all ages from beginner through advanced levels. 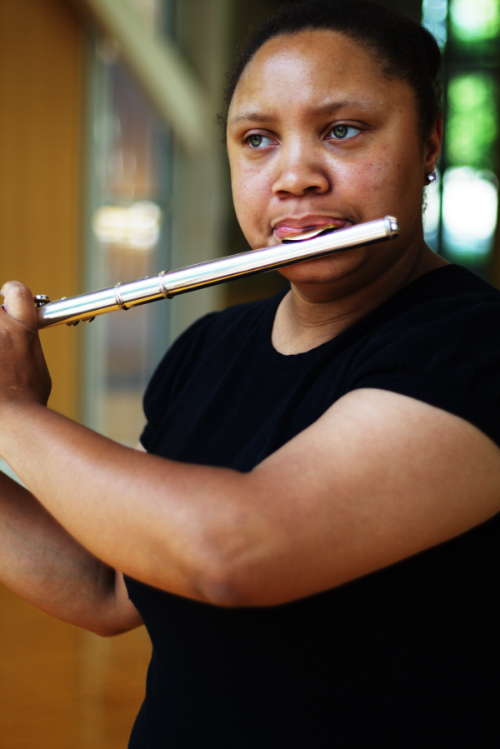 I developed my musical talents through my studies at the University of Alabama at Birmingham with private instruction for Flute and Piccolo from Principle Flutist, Lisa Wienhold of The Alabama Symphony Orchestra. I also studied and participated in workshops and masterclasses with musicians and professors such as Dr. Denise Gainey (ASO), Professional Yamaha Flute Artist and Author Mary Karen Clardy and Professional Flutist Marina Piccinni of the Peabody Institute. My musical studies continue to provide me with new ideas and insights to help students reach their musical goals.